Vijay Sethupathi-Gautham Karthik Starrer Oru Nalla Naal Paathu Solren Getting A Remake? Released yesterday, the Vijay Sethupathi and Gautham Karthik starrer Oru Nalla Naal Paathu Solren has opened to a good response among fans. You can check out our review of the film here. Arumugakumar makes his directorial debut with ONNPS jointly produced under the 7C Entertainment Pvt Ltd and Amme Narayana Productions banners featuring a musical score by Justin Prabhakaran. Oru Nalla Naal Paathu Solren, which also has Gayathrie Shankar and Niharika Konidela as the female leads might next get a Telugu remake if all cards fall into place. 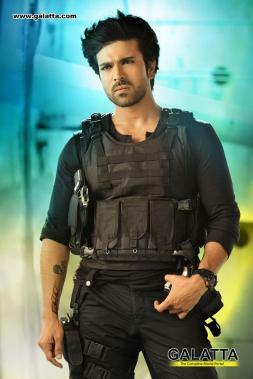 During a recent media interaction, ONNPS director Arumugakumar expressed his desire to remake the film in Telugu with Ram Charan. It now remains to be seen if his wish turns into reality.